Vinification with the stems gives these wines a notable character on the nose, with floral, spice and rose petals all coming to the fore, and an impressive density on the palate. This is a very graceful wine, and the finish shows a touch of tannin to maintain structure. Domaine de Montille picked between the 18th and 26th September in 2010. The red wines, made by American Brian Sieve (one of two winemakers in this catalogue born in Indianapolis!) under the surveillance of Etienne de Montille, now show a consistency of style and quality that perhaps was not entirely there a few years ago. The whites are the responsibility of Etienne’s sister Alix and maintain the class of recent times. Together they have produced a fine result in 2010. 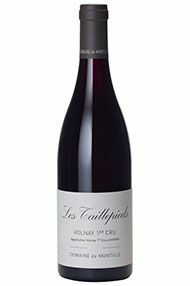 The Wine Advocate - The 2010 Volnay Taillepieds comes across as a blend of the Mitans and the Champans. 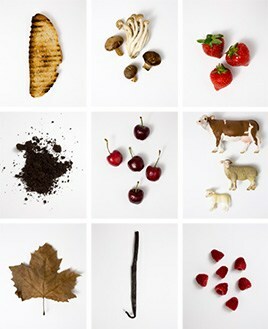 It has the aromatic lift of the former and the textural richness of the later. This is a beautifully balanced wine loaded with sheer class and pedigree. Red berries, spices and flowers are some of the many nuances that are woven into the finish. The Taillepieds was made with 100% whole clusters, but unlike the Mitans, the whole clusters seem to mark this wine to a slightly lesser degree, at least today. Anticipated maturity: 2020-2035. Domaine de Montille is a first class Côte de Beaune domaine and one which is producing some of the purest expressions of Pinot Noir to be found in Burgundy today. The domaine was developed by Hubert de Montille, a prominent Dijon lawyer, who inherited 2.5 hectares of vineyards in Volnay in 1951 and most of the production was sold in bulk to négociants. Over the years he acquired further parcels in Volnay, as well as 4 hectares in Pommard, taking his total holdings to just short of 17 hectares. 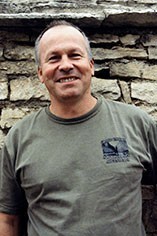 Today the domaine is run by his son Etienne. The winemaking is traditional - partial destemming followed by a relatively long maceration period. The wines are aged in oak barriques (20-30% new) and are bottled unfiltered. These are wonderfully elegant, harmonious wines that require at least five years bottle ageing to show at their very best. The domaine has recently been considerably extended by purchases of vineyards in Beaune, Corton, and (from 2005) the Cote de Nuits, including some marvellous Vosne Romanee Les Malconsorts. There are also some fine holdings of white wine vineyards, especially Puligny Montrachet Les Caillerets.